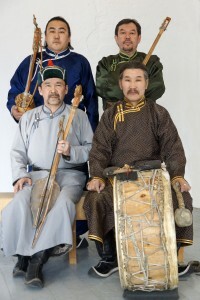 The Tuvan acoustic quartet Huun Huur Tu prove that Tuvan music can take plenty of intelligent innovation. Using traditional instruments and drawing subtly on 20th-century composers, funky rhythms, and the decades they spent honing their overtone singing, Huun Huur Tu transform ancient songs into complex acoustic compositions. 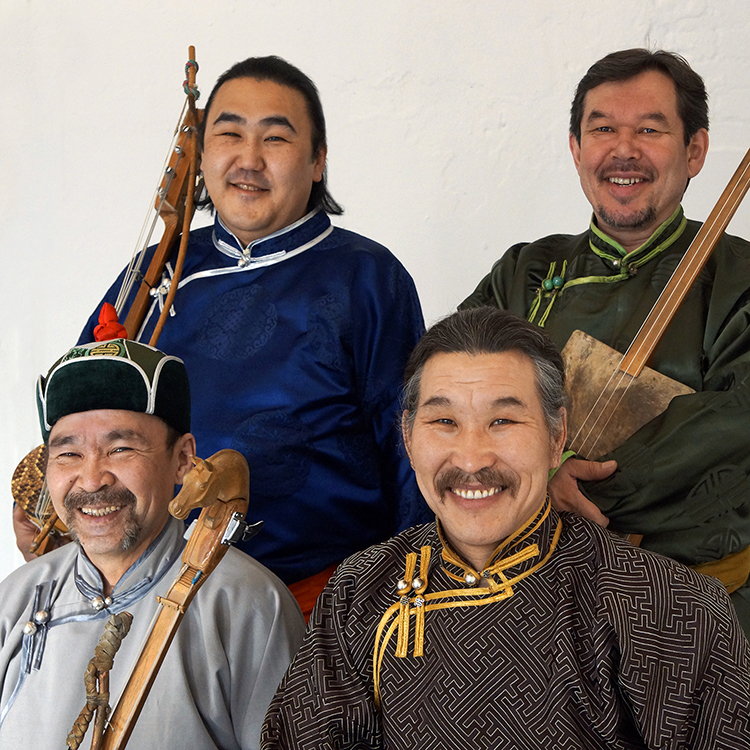 Beginning over seventeen years ago, Huun Huur Tu has almost single-handedly introduced the outside world to the boundless wealth of Tuvan traditions, thanks in great part to their superior musicianship. 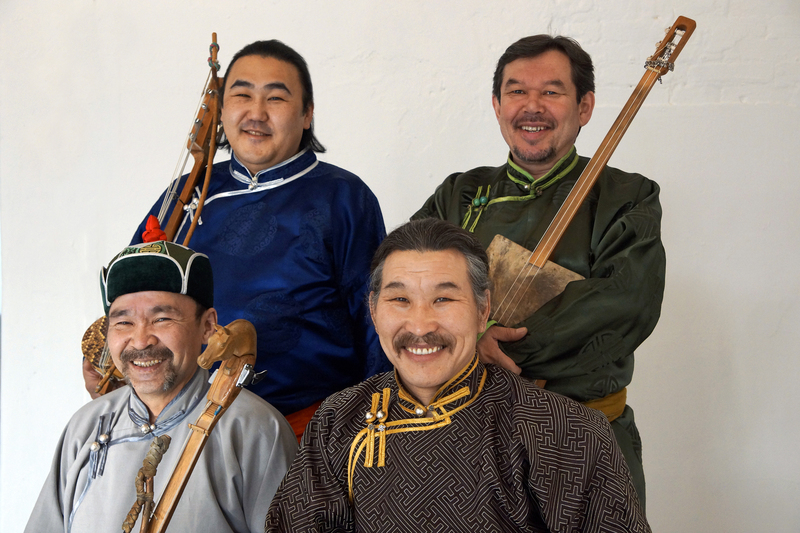 The Tuvan acoustic quartet Huun Huur Tu prove that Tuvan music can take plenty of intelligent innovation. Using traditional instruments and drawing subtly on 20th-century composers, funky rhythms, and the palette of electronica, Huun Huur Tu transform ancient songs into complex acoustic compositions. 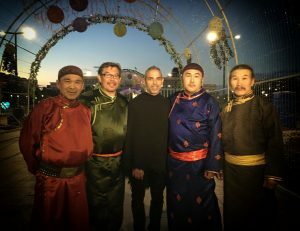 Yet the group also had the musical savvy and the chops to take their traditions far from the slopes and valleys of Central Asia. They made groundbreaking traditional recordings that put their home on the map. They toured the world, gaining fans and inspiring overtone singers. 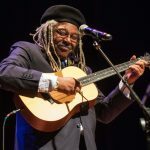 They’ve wowed audiences in both Americas, Europe, Asia, Australia, and Africa, eliciting surprised remarks after one festival show in Kenya that they played with the same ”soul” as local musicians. They sparked a boom in Tuvan and other throat-singing, lute-strumming ensembles from Central Asia that have been the mainstays of global music festivals. Being the first (and arguably the most skillful) has its advantages. 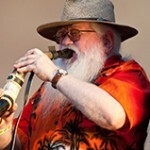 Well-established as “world music” masters, Huun Huur Tu has long been involved in pushing the envelope and digging deep into their roots to find new possibilities. 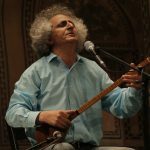 The most recent member to join the group, Radik Tyulyush, a third-generation throat-singer, talented multi-instrumentalist, and conservatory trained composer, added a dose of youthful energy and rhythmic complexity recalling good old American funk. In 2011, Huun Huur Tu collaborated with prominent Russian composer Vladimir Martynov, who drew on the works by the visionary early 20th-century avant-garde poet Velimir Khlebnikov to create Children of the Otter (forthcoming as a DVD on GreenWave), a 70-minute piece for chamber orchestra, choir, and Tuvan ensemble. 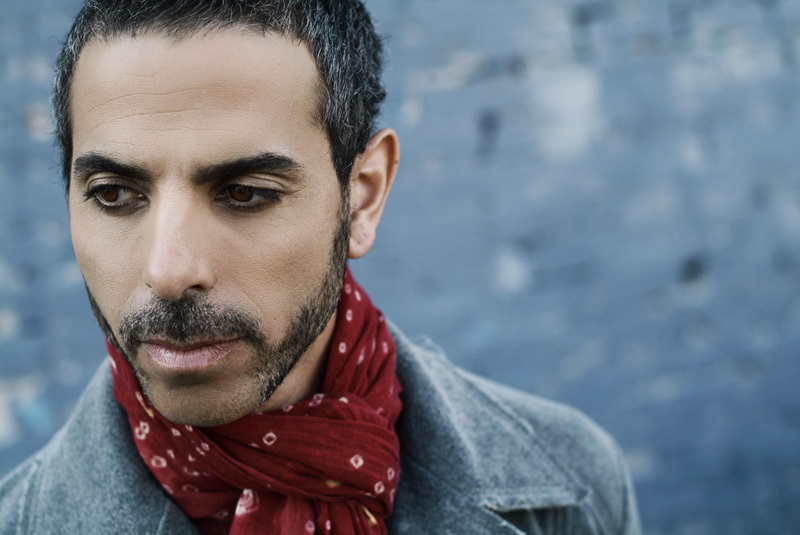 Another, similarly harmonious collaboration with a very different kind of musician came when the group worked with producer Carmen Rizzo (Niyaz, Seal, Paul Oakenfold, Ryuichi Sakamoto). 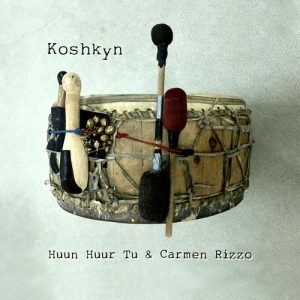 By working closely with Rizzo on Eternal (GreenWave, 2009), the members of Huun Huur Tu got a taste of how to create electronic soundscapes around traditional material. This experience, along with their role as the heart of a new kind of chamber orchestra, has guided much of their music following that project. 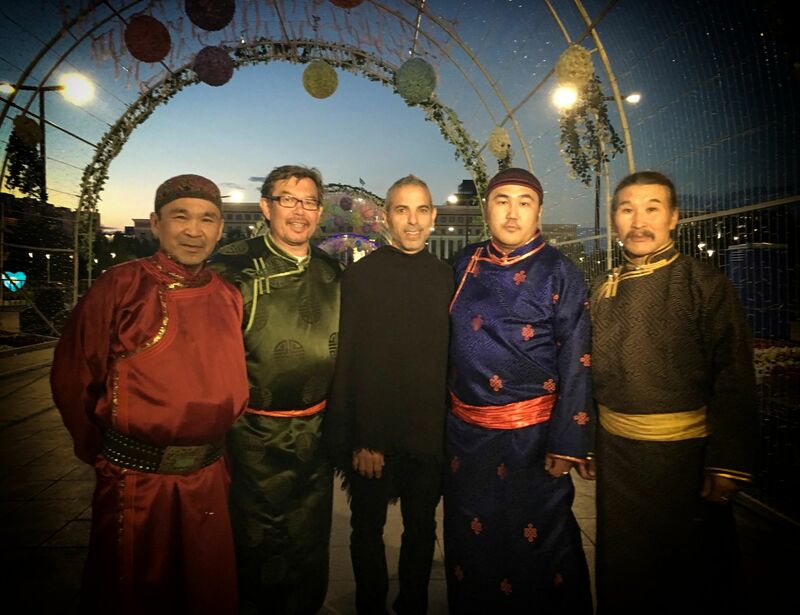 “Huun-Huur-Tu, having completed its fourth tour in North America, and a veteran of concert and festival performances in nearly every country of Europe, has emerged as the foremost international representative of Tuva’s remarkable musical culture. Representing such a culture, however, is surely a delicate task. For how can one convey to outsiders the subtle sensibility of a music so intimately tied to a sense of place — a place whose landscapes and soundscapes are unknown to most listeners in the West? Must one experience the place to understand the music? Or do the sweeping melodic contours and poignant timbres of Tuvan music touch something in all of us — a vestigial collective memory of one of humankind’s most ancient livelihoods: pastoralism? It is indeed the Tuvan pastoralists’ keen perception of natural landscapes and soundscapes that has most conspicuously shaped their music. 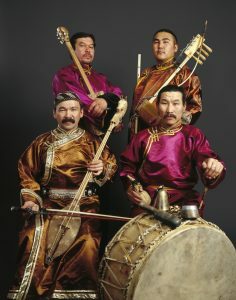 The Tuvans, a South Siberian Turkic people who number some 150,000, preserve what are arguably some of the world’s oldest forms of music-making. What binds these forms together is their use of mimesis, or imitation for aesthetic purposes. By imitating or aesthetically representing the sounds of nature, human music-makers seek to link themselves to the beings and forces that most concern them: in the case of the Tuvans, domestic animals, the physical environment of mountains and grasslands, and the elemental energies of wind, water, and light. The best known genre of Tuvan music, xöömei (throat-singing), comprises what one might call a lexicon of musical onomatopoeia in which natural sounds are mimetically transformed into musical representations. Tuvans not only transform the sounds of the natural world into music through imitation; they also make sonic “maps” of physical landscapes which may be expressed in texted songs, throat-singing, whistling, or other types of vocal production. For the Tuvans, one of the purposes of music seems to be to offer detailed and concrete descriptions of topography. In short, Tuvan music is not abstract, like most Western music, but radically representational, the product of a cult of imitation that ties it to an animistic understanding of the world….. 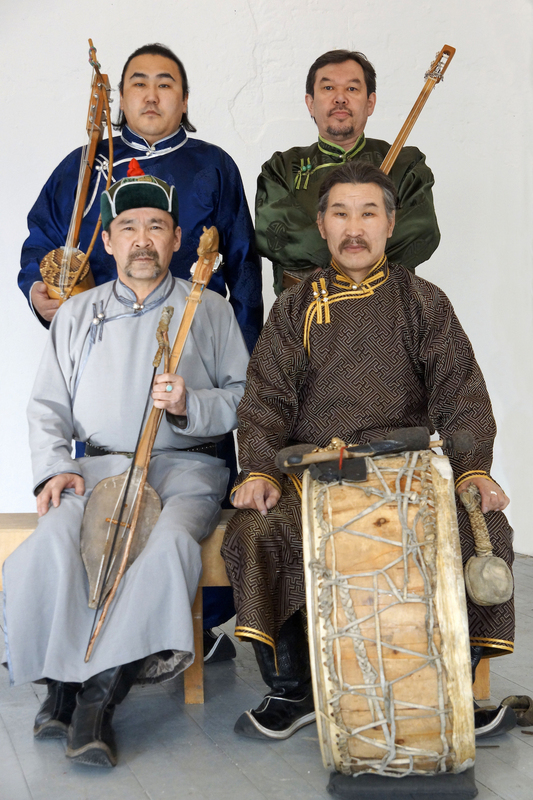 While the Tuvans’ legacy of animism is at the core of their musical tradition, the tradition itself has broadened. How could it be otherwise, for in order to be “authentic,” traditional music must maintain its relevance to the life of a community. Tuva has changed. Decades of Soviet rule brought influences from Russia and from the West as well as a cultural politics that strove to transform indigenous music and musical life into European-style practices. Now the Soviet Union is gone, but the transformations which it wrought still cast a long shadow over Tuva…. Tuvan music, like many indigenous musical traditions around the world, has become de-territorialized. The nomadic Tuvan throat singing collective Huun Huur Tu has joined up with electronic musician/producer and two-time Grammy Award nominee Carmen Rizzo to create a follow-up to their 2009 album, Eternal (Electrofone Music). 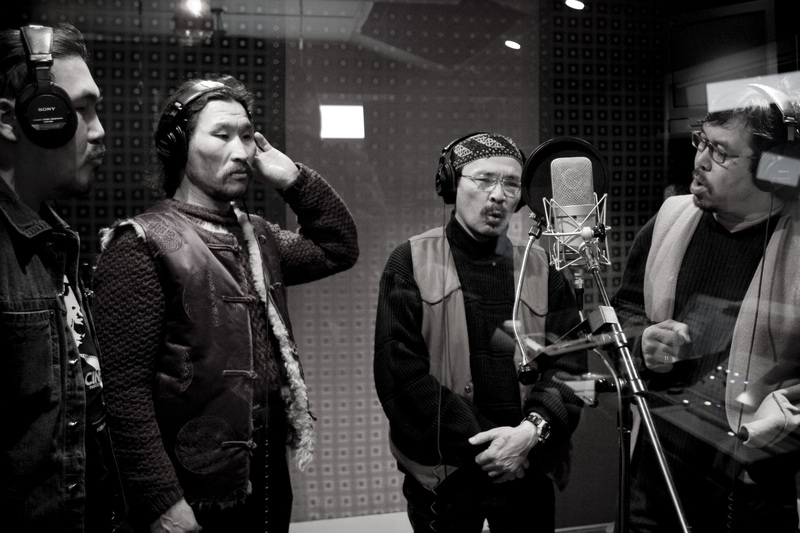 Titled Koshkyn (the Tuvan word for “nomad”), the album was recorded in 2017 in a hotel room turned makeshift recording studio in Astana, Kazakhstan around the group’s performance at World Expo 2017. Rizzo then produced and finished the music in Los Angeles. Performances of the collaboration will be available for tour dates worldwide in the 2019-2020 season. 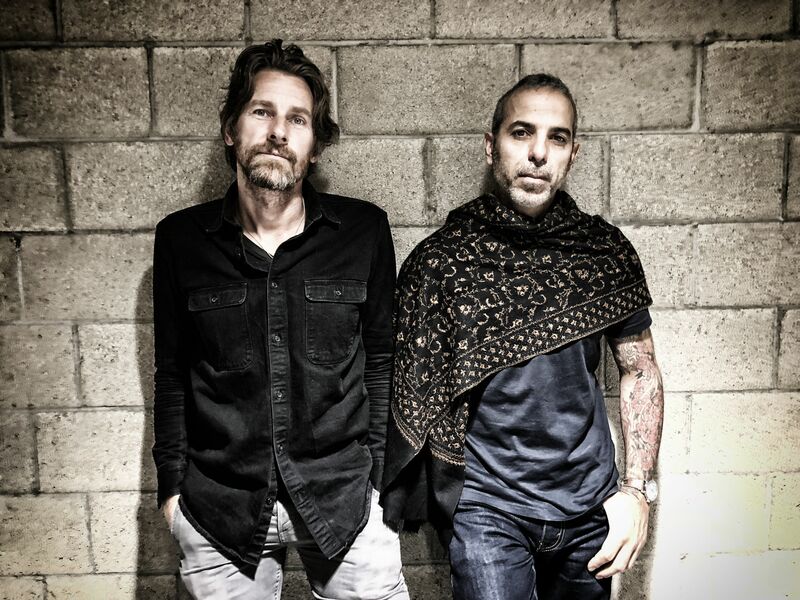 Highlights from the original collaboration included a feature in Time Magazine as well as heavy airplay on NPR tastemaker radio stations KCRW & KEXP.